Matt Hayashida Willow restart Iditarod 2008. Lance Mackey Willow restart Iditarod 2008. Gerry Willomitzer Willow restart Iditarod 2008. 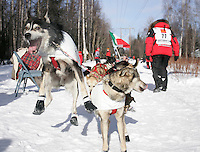 Bruce Linton Willow restart Iditarod 2008. Ken Anderson Willow restart Iditarod 2008. Gerald Sousa Willow restart Iditarod 2008. Jeff King Willow restart Iditarod 2008. 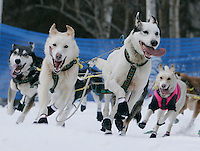 Joe Gans Willow restart Iditarod 2008. Martin Buser Willow restart Iditarod 2008. Aaron Burmeister Willow restart Iditarod 2008. Clint Warnke Willow restart Iditarod 2008. 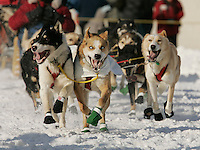 Hugh Neff Willow restart Iditarod 2008. Aliy Zirkle Willow restart Iditarod 2008. Art Church, Jr Willow restart Iditarod 2008. Karen Ramstead Willow restart Iditarod 2008. Rick Holt Willow restart Iditarod 2008.